I am not an avid reader, I never have been. In fact, I hardly have the patience to finish off a book. Quite opposite to my parents though. My mom thinks, eats, lives within books and I always wonder how she keeps on reading and how can someone be so patient to sit and keep on reading those monstrous sized books! But as they say, evolution is inevitable. I feel with time I have evolved as someone who enjoys reading novels and short stories apart from the dosage of usual thriller, murder mysteries, loads of news portals & blogs! I know it came in quite late but I am happy that it came and my mom is utterly surprised with this change (surprised for the good I guess)! Thus it is not surprising that I had kept myself away from the stupendously famous wizard of all time thinking that’s a kiddie fantasy story and I better read Mills & Boon or some other Dan Brown thriller. My little knowledge about the great Harry Potter was only through some movies which I had seen in random order making myself more confused. Nevertheless, now that the world is celebrating the death of the ‘Dark Lord’, Star Movies, HBO & WB have been kind enough to telecast all Harry Potter movies almost every day and I am trying to update myself. On one such afternoon, when a very good friend (an ardent Harry Potter fan) was visiting us for lunch we enjoyed Harry Potter and the Secret Chambers post lunch. Since I have been a slothful soul I never cared to read the books, and obviously was lost. I was looking forward to the last movie after all the positive and flowery reviews and comments everywhere. I managed to watch the Deathly Hallows part 1, from Indro’s movie library (he actually has one! ), so that I don’t feel lost while watching the second part. And so enchanted I feel now about Harry that I ended up in the theater last week all by myself to watch him bring peace! [I didn’t find any one to accompany me, and I didn’t want to wait for another week]. Now I have taken a challenge to finish off reading all the books of the series (currently am on book3) and not the other way round as I did with Da Vinci Code and Angels and Demons. Yes I so love to take shortcuts! But no more… not at least with books and movies. I had seen Da Vinci Code when I was in school and didn’t find it as interesting as the hullabaloo about it in the media. When in college I read the book borrowing it from some friend. And like any other book lover I couldn’t stop reading it – I read it in class, read it in card, read it while eating. Now I know how my mom can sit nights together on the couch with eyes glued to books. BTW so far Da Vinci code has been the best thriller I have read (from the little list of books that I have read). JK Rowling hats off to your power of visualization and imagination which turned a Muggle like me into an enchanted fan of the ‘boy who lived’. I know this is coming in quite late… but I am happy that I saved myself from missing a lot of action any further. I hope I finish off reading all the books by next weekJ. 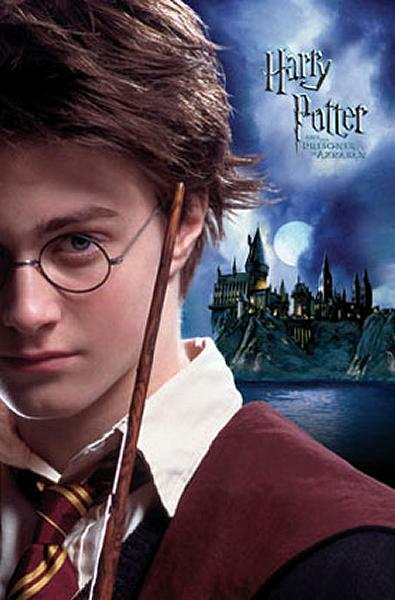 Good to read your "Harry Potter" story 🙂 I guess, everyone has one 🙂 Like, I started to read the books after I enjoyed watching the first movie while in class XI. Thereafter, I have been a certified Potter head 🙂 🙂 I blogged about it too. But frankly, the books are way way better than the movies. hehhe… I know the book sounds much better than the movies… and I am such a potter enthusiast these days that I keep telling people around 'You Muggle'!! Great to see someone convert into a HP fan! 🙂 I used to be one myself, but I got introduced to new forms of writing (Shantaram, Kite Runner) and gave up reading the series. I too have been wanting to resume from where I left off. Are you still looking for the entire Harry Potter collection? I can source it for you, I work at an online bookstore myself 🙂 Let me know. Even if you're looking for the physical book format. Worth having it in your book collection, I think!